The communication revolution has transformed the way we connect in this device-driven world. As Australian citizens, weve been won over by the ease of managing everything  from our shopping to our learning  online. However, a barrier arises when it comes to accessing Australian government services online. The Australian public wants to see government services digitised, extending the reach of social services and citizen engagement. Despite what some of the more change-resistant operators may say, many citizens are comfortable with the shift. According to research, more than one-third of surveyed Australians said digital channels would be their preferred, or one of their preferred channels for dealing with federal government agencies. This number was even higher for small businesses at 45 per cent. While the Australian government has introduced digital touchpoints, many people feel they aren’t effective. The same study found that 78 per cent of people and businesses agree they can do basic transactions with federal government via digital options, but only 7 per cent of respondents described the digital services as a superior way of dealing with government bodies. The reason the Australian public has such negative perceptions about government services becomes clear when you look at the those offered by private businesses. According to Wired, when Facebook launched its new feature allowing businesses to talk to customers through Messenger, it took less than 10 months for businesses such as Hyatt, Walmart, and Uber to jump on board. This type of standard can intimidate executives in the public sector, where funding models are more complex and change can be difficult to master. Government services must adapt to such trends or theyll ultimately fail to meet online citizens expectations. 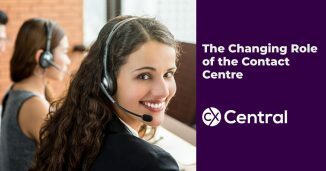 Public entities face the task of investing in digital communication tools to help call centre operators deliver better customer experience and engagement. The journey starts with a unified strategy that consolidates call centres and other contact points. Larger businesses can do this quickly by appointing a centralised authority. The key challenge for government is to continue to find ways of unifying the administration of technology across multiple centres. Once centres are centralised and concentrated, digital infrastructure and tools can be deployed which are cost-effective and enable a superior standard of service. By bringing call centres together, the government can also reduce headcounts and use data to determine where and when staff are needed most. Consolidation and staff optimisation are key to government service success in the future. Government bodies have the challenging job of managing several call centres. However, the adoption of backend systems that tie databases together  something like the myGov service – is definitely a step in the right direction. By giving agents contextual information like a persons history of interactions allows agents to communicate with citizens more effectively and consistently. Updating legacy technology, creating new digital architecture, and driving a universal approach across centres will help to create that consistency. In turn, this helps build trust between government and citizens. The empowerment of call centre agents to take on a more diverse role is a crucial step in reducing the number of handovers between departments. Over the past few years, we have seen agents perform more tasks enabling them to handle multiple enquiries. For government departments, this can be a problem due to the fractured nature of services. However, by trying these together (where appropriate) and providing training across all services, we are closer to solving the problem. It is the training and data available to the service operator that makes all the difference. A consistent feedback loop from citizens is necessary if governments are to meet the high standards set by the private sector. The first step is ensuring you have mechanisms in place to get feedback from citizens using your services. Feedback should be gathered across all channels  even if 90% of enquiries are made over the phone, this shouldnt be the only channel you get feedback from. By ensuring a customer feedback form for each respective channel is quick and easy, people will be more likely to respond. The second step is analysing the data to extract relevant insights to create actionable business plans. This exercise also holds many substantial opportunities to improve call centre service quality. However, improvement shouldnt just focus on customer feedback. Call centres need to be clear about the metrics they want to accomplish  and not compromise that strategy with conflicting methods. For example, shorter call times and higher satisfaction rates dont necessarily go together, and for the government, the focus should be quality over quantity. It’s clear that online communication has altered expectations of what qualifies as a good customer experience. Taking away from how the private sector has implemented an omnichannel approach, its clear that it is important that the service is consistent, personalised and highly automated. 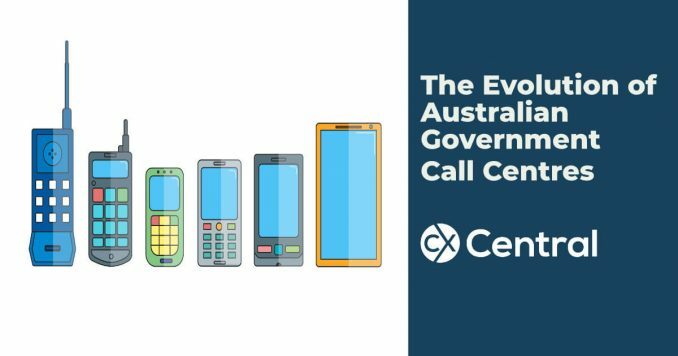 Government departments in Australia have yet to strike the right balance with respect to omnichannel service. With consolidation, centralisation, and customer relationship management (CRM) technology, the inconsistent service standards that currently plague the Australian government agency reputation could be completely transformed. Find solutions to help you improve your customer experience including consultants, technology suppliers and more in our Business Directory. 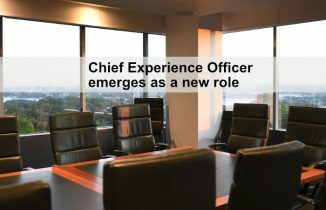 The Chief Experience Officer emerges as a new role as businesses pivot to focus on CX as the key point of market differentiation.